He graduated in Mechanical Engineering at the Technical University of Munich. He is working in the field of Intellectual Property for nearly 25 years. He became German Patent and Trademark Attorney and European Trademark and Design Attorney in 1997 and European Patent Attorney in 1999. Since 2006 he is working in close cooperation with Bugnion and became partner of Bugnion in 2015. He is specialized in opposition proceedings and infringement suits for German and international clients. 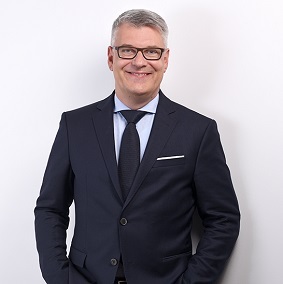 With more than 200 opposition and appeal cases in the last 10 years Mr. Weigel has a very high experience in particular in inter-parties proceedings before the European Patent Office, the German Patent and Trademark Office and the Federal Patent Court in Munich. Further, Mr. Weigel is representing clients in patent, trademark and design cases before the German Patent and Trademark Office, the European Patent Office and the European Union Intellectual Property Office.